Ellen Page's sleek tuxedo outfit at last night's Oscars broke out over 30 thousand notes of excitement in the Tumblr world — and for good reason. Perhaps it was her recent coming out that sparked this new level of sartorial brilliance, or the world's positive response of her news that brought upon a new confidence in her outfit choices. Either way, I definitely notice an upward movement in her style. 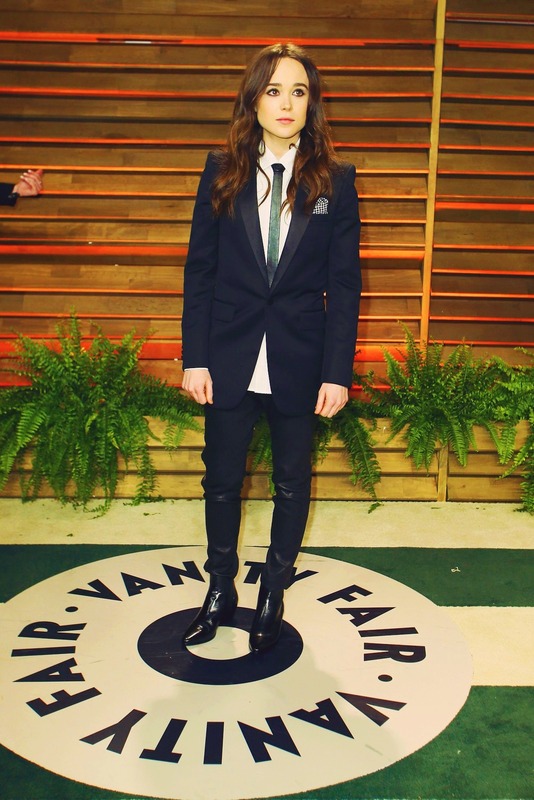 Her combination of the boxy suit jacket with the skinny pants and chelsea boots not only demonstrate her unique twist on the tuxedo suit, but hits that androgynous sweet spot many of us strive for. The oversized suit looks Page showed off before were more of a routine look in the women's mainstream fashion world — she kept the collar unbuttoned with the tie lose around the neck, or her shirt ruffled; looking like she either just rolled out of bed or was about to get undressed. But now her outfit is fitted, buttoned-up, and polished. She's entered a new world of gender expression, one which I believe coming out allowed her to enter. Though her outfit gets an A+ from Qwear, I'm curious about the future of her hair — the only thing that hasn't seemed to change since we saw her last. It seems that really drawing out those naturally lush curls doesn't interest her the way it might other women. Whether she eventually gravitates towards a longhaired pomp or an edgier cut, I look forward to seeing how she evolves. I'm taking Page's lead on the proportions of your suit and collar, choosing a lapel and collar width that is also very small. (Here's an excellent guide by Parisan Gentlemen about collar, tie, and lapel proportions if you are interested in learning more about looking this good with all your suits.) 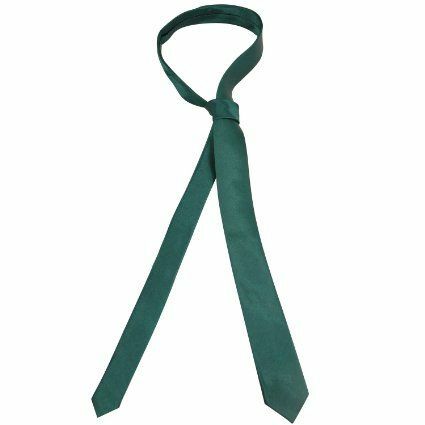 Also try a half-windsor or full-windsor knot to create the sturdy knot she has. And make sure your dress shirt is sans collar buttons. *Topman is sponsoring Qwear. Read about their sponsorship here.